As a digital marketer, you want to maximize the number of users visiting your website. One of the most effective ways to achieve this goal is – that’s right! – leveraging social media. But while social networks can be great traffic drivers, only 43% of businesses report seeing a significant influx of users from social to their online stores. Are you also facing this problem? 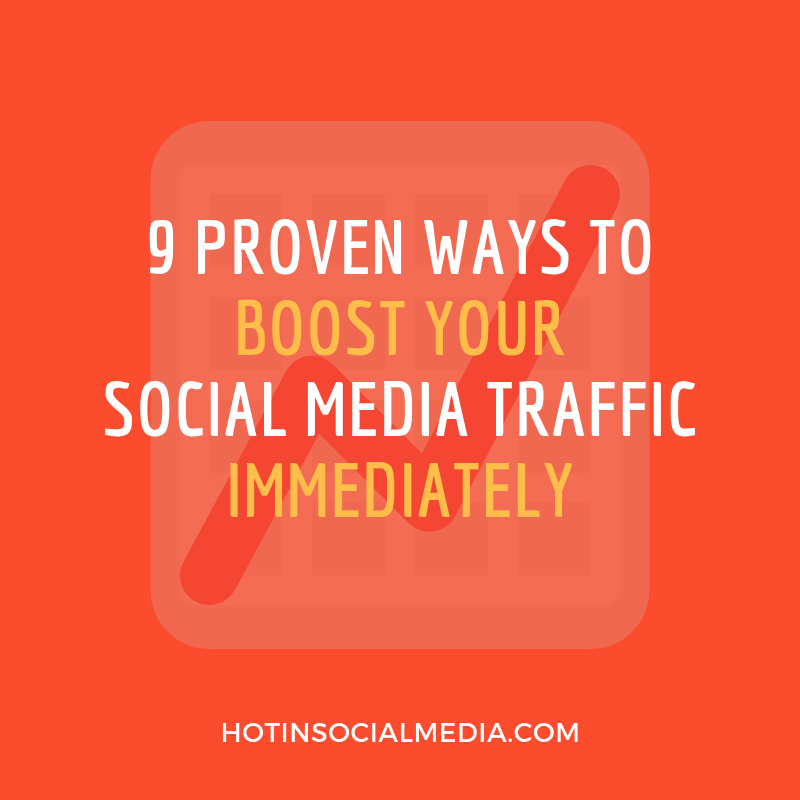 Read on to discover nine proven ways to boost your social media traffic immediately! When it comes to boosting your web traffic, hardly any channels work as effectively as social media. Equipped with engaging content formats, creative ads, and precise targeting options, platforms such as Facebook or Pinterest are nothing short of major traffic generators. Here’s how you can tap into their potential and get tons of users to your website. The first step to improving your social media traffic is selecting the right platform – one that will allow you to maximize the number of visitors to your website. As mentioned before, social media is an effective traffic driver, accounting for roughly 26% of the overall referral traffic. This traffic, however, isn’t generated by different platforms in equal shares. On the contrary: some networks contribute much more than others. And your goal should be leveraging the top-performers. Now, which platforms can get people to your website most effectively? According to a report by Shareaholic, Facebook, Pinterest, and Twitter are at the forefront of generating website visits. This makes sense, as all three platforms enable marketers to easily include links to external sites in their posts, which helps to increase the Click-through-rate (CTR). So if you’re wondering how to increase social media traffic, focusing your attention on Facebook, Pinterest, and Twitter is a good place to start. Once you pick your platform, it’s time to think of how to get people to click on your posts. It often happens that the quality web content you share just doesn’t generate enough clicks on social – and the reason behind that might surprise you. Here we go: people just don’t know they’re supposed to click. That’s right – a huge group of users consumes content passively because marketers fail to tell them to take action. That’s where a powerful, direct, and concise Call-to-action (CTA) comes into play. The right word combination can help break your audience’s pattern of passive newsfeed scrolling and give your CTR rates a major boost. How major? A research by Siege Media revealed that the right CTA can increase your conversions by 300%! Clearly, optimized CTAs can work wonders for your social media traffic. Create a sense of urgency with words such as now, today, next 2 days, etc. Make sure to always A/B test your CTAs to find out what works best! Leveraging visuals is a great way to improve your social media traffic and engagement. Because our brains process visuals 60,000x faster than text, we’re likely to interact with posts containing images or videos much quicker. In a nutshell, this means visuals can help you get more web traffic in less time. On a more practical note, posts containing visuals take up more space in the newsfeed, which makes them more visible and apt to receive interactions. In fact, on platforms allowing text-only posts, such as Facebook or Twitter, spicing up your content with images can bring tremendous results. 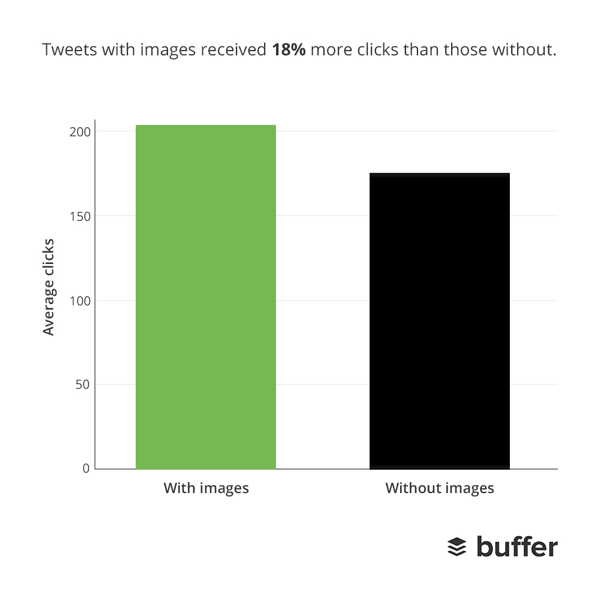 Posts containing visuals get 2.3x more engagement on Facebook, and 18% more clicks on Twitter. Not bad, right? So you’ve invested time and resources into polishing your social media copy and visuals. But are you getting a maximum volume of clicks from each of your posts? 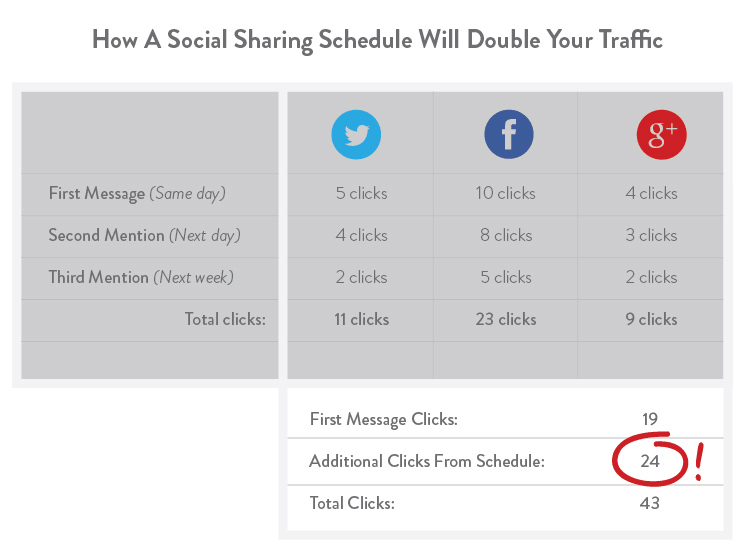 According to CoSchedule’s Garrett Moon, you’re missing out on a huge share of clicks if you’re not re-sharing your content multiple times. Moon claims that re-publishing your content on social media more than once can actually double your traffic! Of course, to be able to achieve such a result, you need to re-share your content in the right way. It goes without saying that social media is a highly collaborative space. That’s why you shouldn’t hesitate to reach out to those who are already successfully helping online businesses – social media influencers. 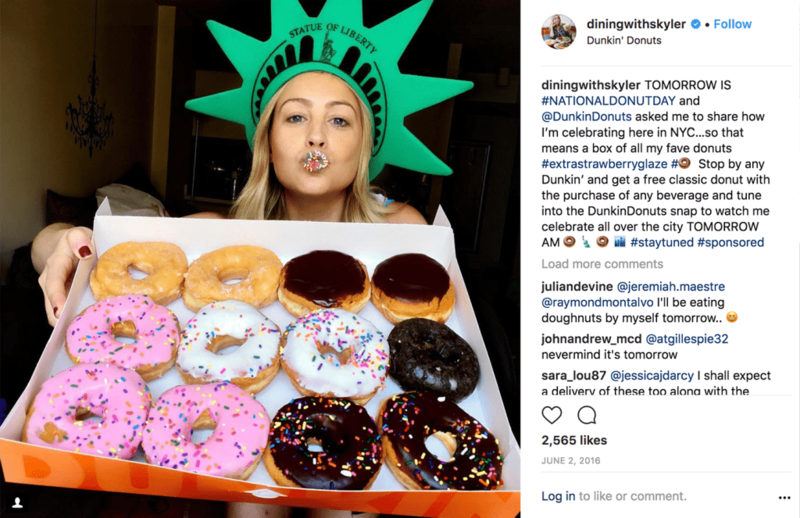 Leveraging influencers can help you shoot up your reach and get your brand in front of new audiences. As a result, more users are exposed to your content, which increases your chance of earning valuable clicks and social media traffic. Using social media to drive website traffic will be much more effective if you include hashtags in your strategy. If used right, hashtags will make your content much easier to discover. They will also improve your organic visibility in the ever-crowded social media space. And as we stated before, the more people are exposed to your posts, the more likely you are to receive clicks and traffic. Facebook: Use ideally 1, maximally 2 hashtags for best engagement. 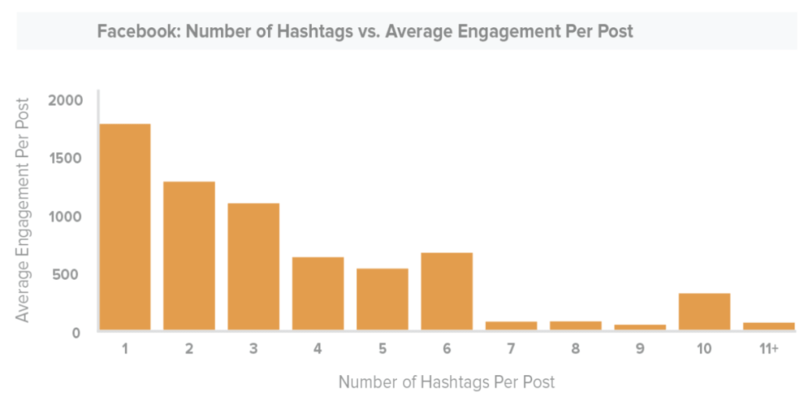 Overall, adding hashtags to your Facebook posts will get you a 4.4% higher reach. 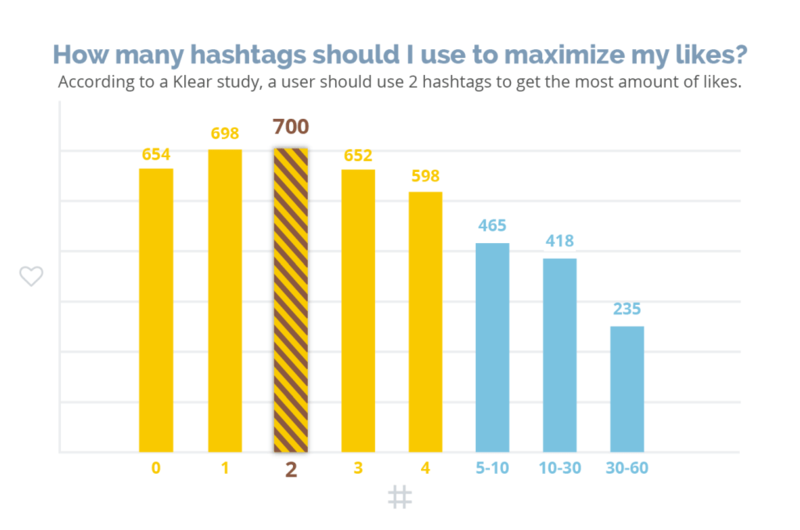 Twitter: Use 1 hashtag (ideally with 18 characters) for optimal results. 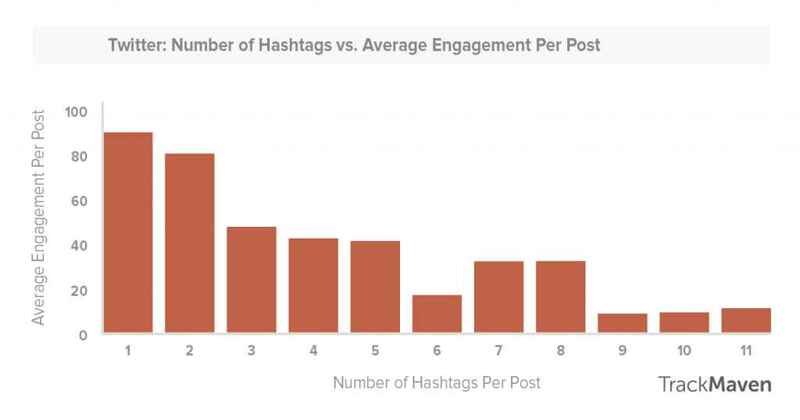 It will allow you to generate roughly 50% more interactions compared to tweets with 3 or more hashtags. Instagram: On Instagram, the optimal number of hashtags is 2. Anything more can have a negative impact on your engagement. Optimizing social media copy for SEO is often overlooked by marketers. You can use this fact to your advantage and up your SEO game to get ahead and win more social media traffic. How can SEO optimization help you? People using Google or Facebook search for different topics using keywords. By mixing these keywords into your social media copy, you increase your chances of both being found by people performing searches and getting clicks to your website. Make sure you regularly check up on the comments and questions your audience leaves on your social media profile. They’re all wonderful opportunities to link to your web! 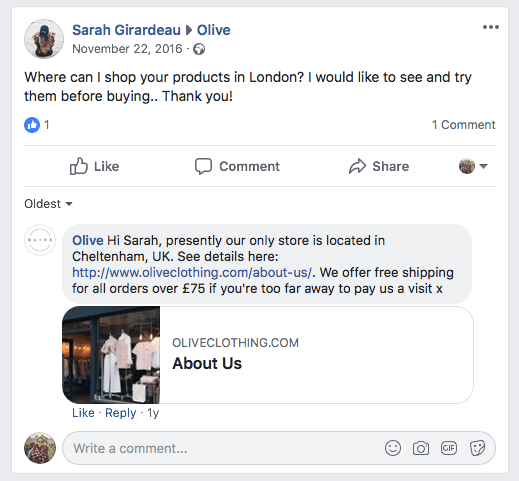 Just think of all the times your followers left you messages regarding your business – for example, ones asking where they can learn more about your products. By including a link to a relevant section of your website in your answer, you’re encouraging users to visit your page, therefore increasing your social media traffic. So far, we’ve discussed organic ways of increasing your social media traffic. However, you can also effectively drive users to your website with the help of paid social media ads. Platforms such as Facebook, Twitter or LinkedIn allow businesses to launch ads aiming to boost website traffic – and these ads can be very effective. One of the biggest benefits of paid ads is being able to reach new, well-defined audiences. Because social media ads come with precise targeting options, you can decide exactly who will be exposed to your ads. As a result, you’re able to drive highly relevant traffic to your website, which is especially beneficial for businesses who want that traffic to convert later. Without a doubt, social media can help your brand gain exposure and generate tons of visits to your website. We hope that the tactics discussed in this article will help you tap into the potential of social media platforms and improve your social media traffic in no-time. Feel free to take some of the tips for a spin and let us know how they worked for you in the comments! See also: How to get new social media clients right away?